Large enterprises are deploying mobile workers at a rapid pace – workers armed with laptops, PDAs, and cell phones. While this mobility allows today’s modern businesses to move quickly, it can also leave vacant office space languishing unused. This office space is often the second or third largest expense on a company’s income statement. Business that can take advantage of employee mobility while optimizing the efficiency of their office space and real estate will be the clear winners in the next decade. These businesses will perfect the mobile officing paradigm. To meet this goal, businesses need a robust solution that can ease the real estate burden of vacant or poorly utilized office space. 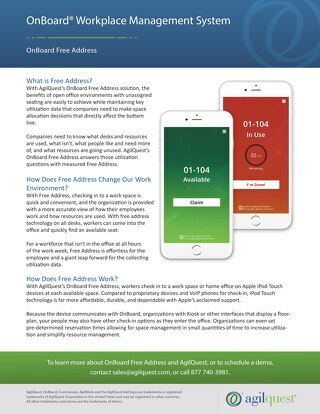 This solution must be scalable from one office to a global enterprise, and it must be available to mobile employees whenever, wherever they need to work. Today there are proven, cost effective enterprise solutions you can depend on to take your mobile officing business into the future. Enterprise room and resource reservation solutions efficiently manage your office space - from cubicles to private offices to conference rooms. Unlike single facility point solutions, enterprise solutions will allow your organization to support its mobile workers’ dynamic movements and needs within one department, in one office, or in hundreds of facilities around the globe. This type of interdepartmental, pan-organization functionality ensures your workers can work whenever and wherever they need, and enables your organization to maximize the return on its real estate investment by optimizing the use of existing workspaces. 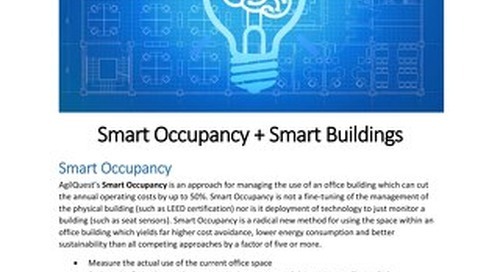 What are businesses seeking from mobile officing? Businesses are seeking to avoid significant real estate costs while improving the productivity of their mobile workforce. The key drivers of these issues are shown in Figure 1. 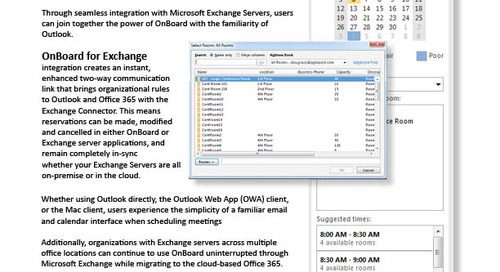 Point Solution does not allow office space utilization visibility across the enterprise. 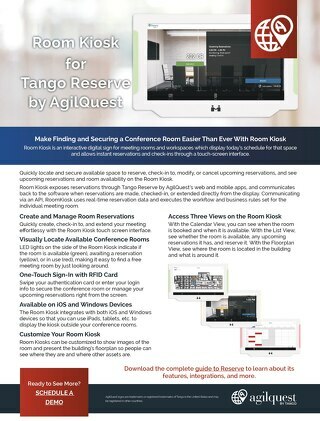 Most solutions in the market are focused on enabling resource sharing in a single office or a single building. They fail to meet the needs of the connected workplace which requires visibility across all locations to optimize real estate use. Point solutions also require significantly greater maintenance, as databases and duplicate data proliferate across the enterprise. Point solution cannot scale across the enterprise. 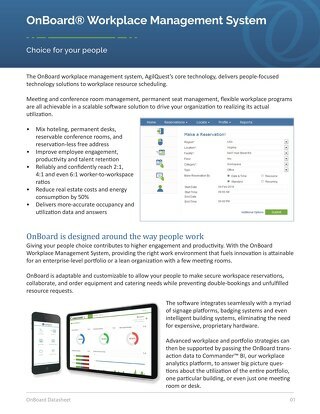 Supporting a mobile workforce requires an enterprise application that is available wherever they go. Point solutions require installation and customization at every site, and provide only limited data about a small segment of a mobile workforce and their resources. These solutions cannot offer the scalability of an enterprise solution which only needs a single install for hundreds of facilities. Does not offer common interface to a geographically distributed workforce. The most successful applications build trust with their users through a constant, intuitive interface. Many solutions in the market do not offer a single URL access point with role-based permissions and unique logins, instead relying on multiple client-server packages. These solutions need to develop a single interface which can distribute resource permissions and reporting capabilities from a single, common point across the enterprise. Is not flexible enough for client’s business process needs. Many solutions cannot integrate a client’s unique needs – for instance, the ability to configure user permissions, the ability to customize reservation paths, or the ability to customize business rules based on location, resource type, and even resource. Does not integrate telephony, hospitality, and workflow automation functions. Mobile workers need their unique handset number wherever they go. Many solutions in the market do not combine telephone switching capabilities with resource reservations, requiring a business to cobble several disparate solutions together. Those solutions which do offer telephony support often only offer it for specific telephone switch types. Businesses require a one-stop shop for all their mobile working needs – telephony, hospitality, office and conference room reservations, and service reservations. In conclusion, current solutions fail to provide a comprehensive solution that supports the content, collaboration, and connectivity requirements of today’s dynamic business. Most solution providers lack the expertise and experience to offer mature solutions that address the real challenges businesses face today. 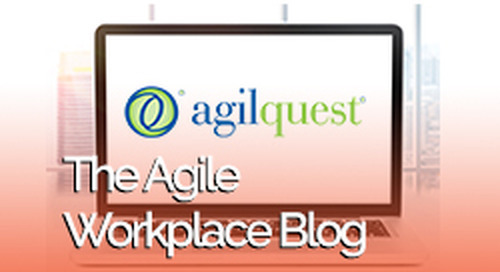 AgilQuest has over seven years experience managing mobile officing programs. 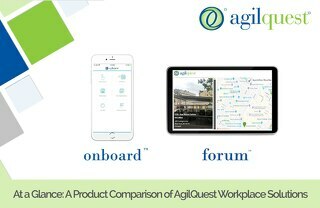 AgilQuest has also brought several innovations to the market, and was first to offer an enterprise-scalable mobile officing application. 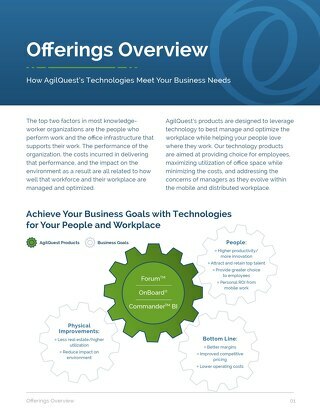 AgilQuest's business consultants follow a proven approach to client issues – an approach which focuses on unique client needs and provides enterprise software solutions with measurable value. Reserve/Request authority, attendee meeting invitations, and published meeting descriptions are just some of this work path’s helpful features. 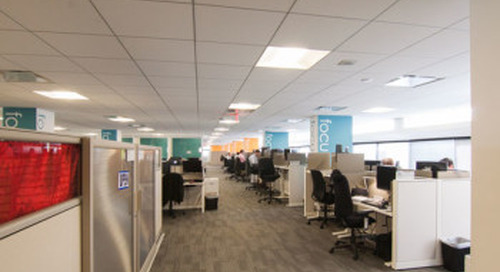 Workspaces include, but are not limited to, hot desks, touchdown spaces, cubicles, and offices. 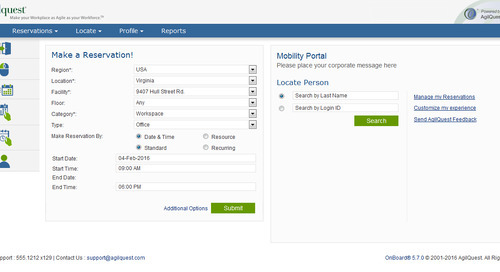 The workspace reservation path is designed to be quick and efficient to maximize end-user convenience. 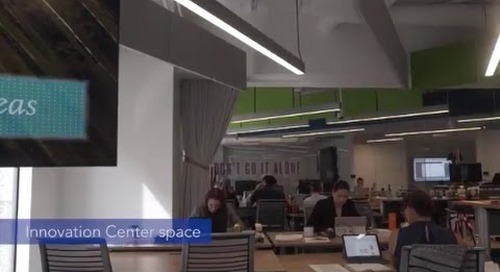 Workspaces may be designated as “wait-listable,” allowing users to be notified when their desired space becomes available. OnBoard allows users to easily associate equipment with another reservation. Your organization can also define allowable reservation and cancellation lead times to enforce reservation policies. 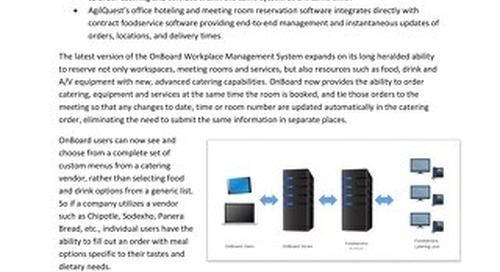 Your organization can define menus, track service usage, integrate vendors, and apply charge-back procedures. Your organization may elect to make certain resources requestable, inserting manual approval by a concierge into the business process. This function is especially helpful for high-traffic conference rooms. The bumping feature allows your organization to determine the grace check in during the grace period, he or she is automatically bumped from that resource, freeing it for use by others. OnBoard includes the ability to track resource usage time by user and provide chargeback codes. OnBoard’s architecture utilizes state of the art industry components that ensure compatibility with standard corporate infrastructures. OnBoard’s J2EEbased code offers maximum scalability and the ability to deploy to global organizations from one central location. 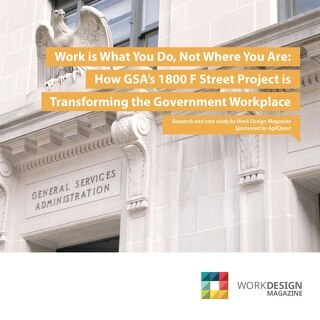 Typical cost avoidance savings for a client are 15-20% reduction in real estate costs with a mobile worker to desk ratio of 1.15 to 1.
worker-to-desk ratio of 1.15:1 in the first year. Mobile Officing is a dynamic ebb and flow of people and resources through multiple facilities within an enterprise. 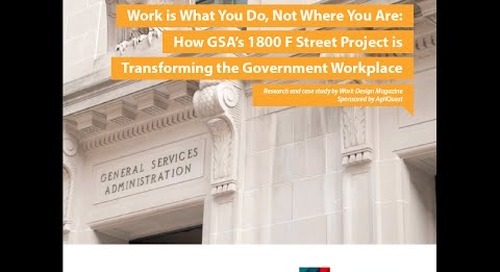 The very act effects not only the mobile worker who is traveling from office to office but also the administrative, personnel who must maintain office support structures in each facility. 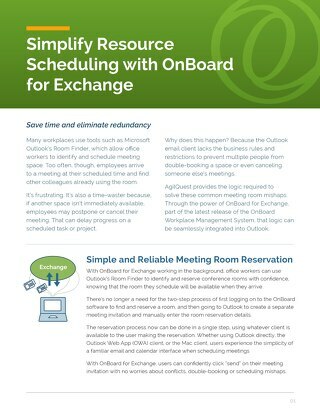 Enterprise mobile officing solutions provide a common interface across locations for managing this work trend. Enterprise solutions offer what point solutions cannot – ubiquitous access to enterprise level office space utilization data, worker locations, and conference room, equipment, and service availability. Enterprise mobile officing solutions allow any organization to proactively manage, schedule, monitor, and analyze shared resources. Enterprise solutions provide comprehensive access to and information about shared resources through a common interface. Organizations can schedule and reserve in real-time, track and analyze usage patterns to support critical business decisions, and automate previously inefficient tasks. 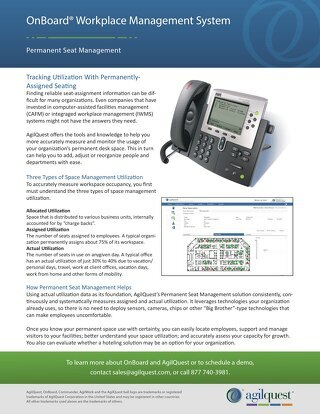 By utilizing enterprise mobile officing solutions, an enterprise can achieve significant strategic goals including increased utilization and decreased investment in resources, decreased scheduling and management times, increase end-user satisfaction, and decreased financial commitment in standalone tools.